Aging is inevitable but we can choose how well we age to a great extent. Staying active in your 50s and onwards can make a huge difference to how we age. However, have you left it too late? Is it a good idea to be starting low impact cardio in your 50s? All bodies are made and age differently. You may, therefore, be reluctant to give cardio a chance despite hearing how great cardio can be for you. We all just feel that our body isn’t built like it used to be, and worry that cardio might upset our joints, trigger an old injury, or just be impossible due to arthritis or a stiff back. However, worry not as there is a form of cardio that is perfect for people who aren’t very mobile or feel anxious about overdoing exercise. Low-impact cardio describes a wide variety of exercises that will get your heart rate up, improve your circulation and breathing, and will increase your endurance. All this without jumping, jerking, or jarring movements that may be difficult, painful, or impossible for people with physical ailments. The following workouts are great for those people thinking of starting low impact cardio in your 50s, but won’t stress your bodies in all the wrong ways. Have you tried no-impact boxing or martial arts? They are great ways of getting in some cardio without putting too much weight through your joints. Normally when performing a combat sport you hit a punching bag, pads, or a real person! This is great for getting your heart rate up, but puts a lot of sudden pressure through your hands, wrists, elbows, neck, knees, hips, feet, and back. With no-impact combat sports you go through the exact same motions, but you don’t land on anything. Instead you stop yourself at the point where you would make impact. This allows you to get all the normal cardio benefits whilst protecting your joints and other delicate areas! Some people find that jogging is too harsh on their joints, especially the knees. If this is you, consider step exercises. Unlike jogging, stepping is similar to walking as you always have one foot on the ground and you gently lean into the step, rather than fall onto your foot. Standard jogging is very stressful to your knees and feet, whereas stepping is much gentler. Stepping also increases your heart rate faster than walking usually does. You can invest in a stepping machine or elliptical trainer, march up and down the stairs at home, or step on and off a stepping stool. The elliptical and the stepping machine, however, have the distinct advantage that your feet never leave the pedals, taking a lot of weight off your limbs as you never lean into one limb fully at any one time. Stepping is a very versatile activity and a great all round exercise. You may not be a Mark Cavendish, but cycling is a great alternative for otherwise healthy people whose joints are not up to the challenge of impact cardio. Much like stepping, cycling raises your heart rate much more than a walk. But not only is it low-impact, your feet remain on the pedals at all times, allowing you to move your weight gradually into each foot. You may want to get a bicycle, or you may prefer a stationary bike at your local gym, or one to keep in your living room, but either way, it’s a great swap for the treadmill.. 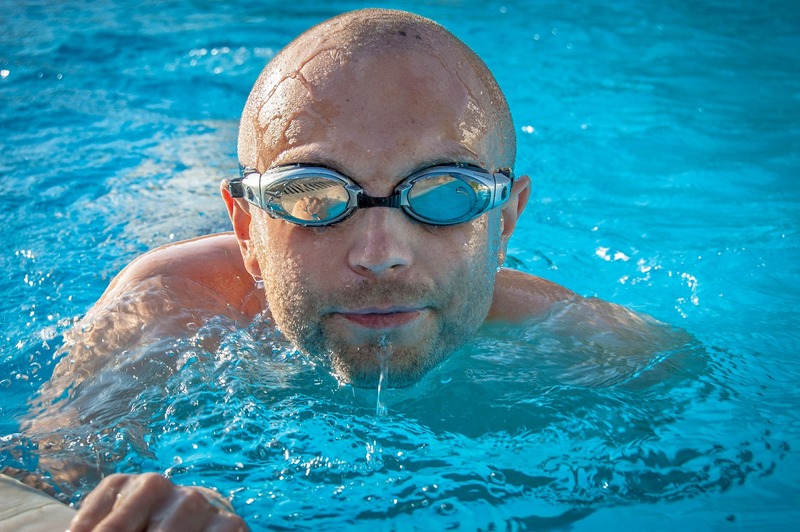 Swimming is another great option, as the water bears most of your body weight. As you are almost entirely supported, your joints and bones are given a break, making this an ideal cardio exercise for people who are overweight, who suffer joint problems, who have weak bones, or who have recently been injured. The water also slows your movements down, limiting tension through your muscles. Anything from a few laps at the pool to water aerobics can get your heart rate going, as long as you are moving fast enough. Rowing is a great cardio workout with minimal pressure put on your joints. There are many different ways to practice rowing. Maybe you have the opportunity to row a real boat, but this isn’t realistic for many people. Most likely, you will use gym equipment to row like a rowing machine. This simulates rowing a boat and you can increase or decrease the weight you are pulling against. An advantage to this one is that you are sat down, which reduces pressure on the legs. Another way of rowing is to use a barbell and do bent over rows. This can sometimes be a bit much for beginners, but it’s easy. For those who want to try this in the privacy of your own home, you can use a resistance band. Step on it, or sit down and hook it across the arch of your feet, and row back, pulling on both ends of the band. All of these are great low-impact cardio solutions for people over the age of fifty who may have joint or mobility problems. What is your go-to cardio solution or are you now thinking about starting low impact cardio in your 50s?